So I decided in my madness to hold a pudding party and clothes swap shop over the holidays. It was was a fab success, although far too many puddings to go round an army let alone a small gathering of us ladies! 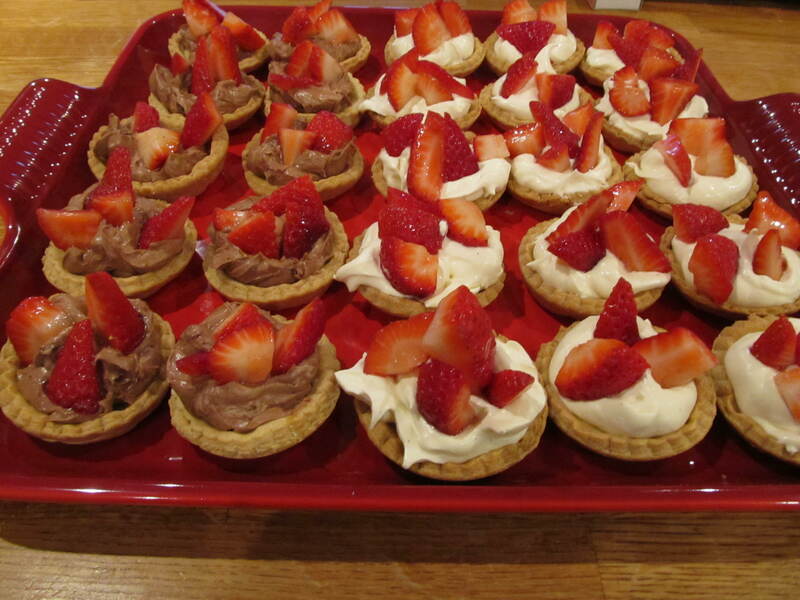 In preparation for the party I had made four puddings – well I didn’t want to run out! 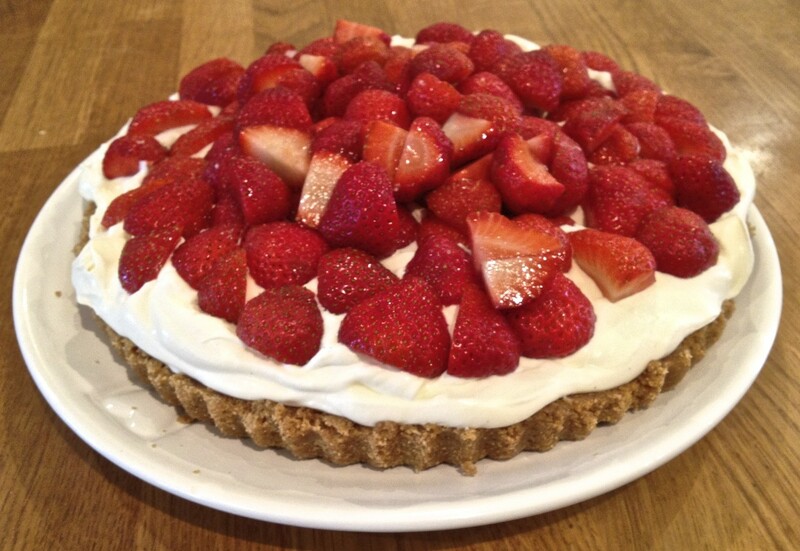 So here is one that definitely didn’t last the whole evening..
Sweet Mascarpone, Vanilla and strawberry tart.. Tip the halved strawberries into a bowl and sprinkle castor sugar over the surface of the strawberries – then cover with cling film and refrigerate or leave somewhere cool. Blitz the Hobnobs in a food processor until they form crumbs. Melt the butter in a medium sized sauce pan on a very low heat. Once fully melted remove from the heat, add the Hobnob Crumbs and stir until thoroughly mixed. Tip the mixture into the flan tin – then press down firmly into the base and sides with the back of a wood spoon until a completely smooth middle with slightly raised edges. Put the base into the fridge for no less than 30 minutes. Meanwhile tip the custard and cream and vanilla paste into a large bowl, using an electric whisk beat until the mixture is glossy and thickens to form soft peaks. Tip the mixture onto the cooled base, using a spatula spread the pillowy mixture across so it just hits the edges. 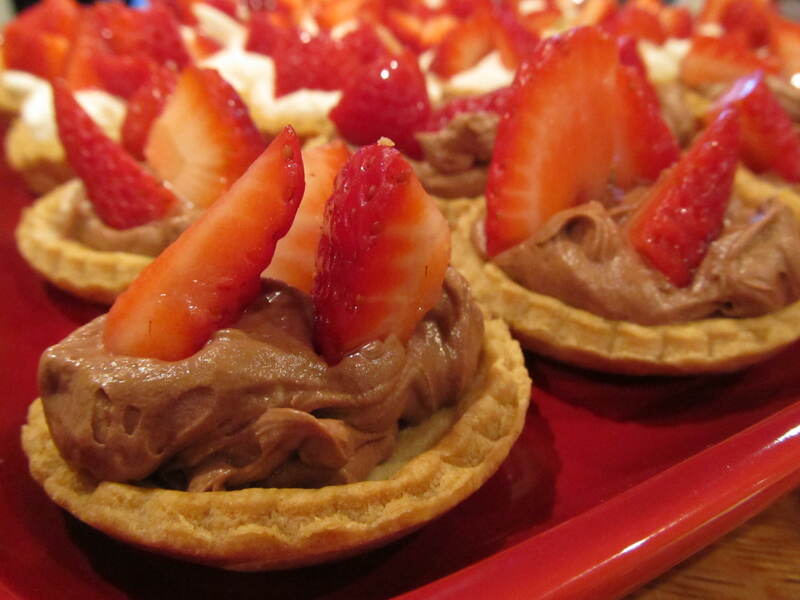 Place the strawberries on top of the creamy mixture and refrigerate until serving – enjoy! !